Thanks to my supergal Heidi in Germany you can now have the pleasure of rocking out to a one-man band who using tic tacs in all thier glory to get a whole bunch of people tic-tacing along with the beat. It took me a while to find out if this street marketing was just for fun or officially sanctioned/blessed/sponsored by Tic Tac. After a little bit of searching I found out that the star of the show is Micha Albacow from Uzbekistan of all places. According to his website he heard the sound of tic tacs in his pocket as a young boy and has always had a fascination of the sound – which then inspired this one-man band action. 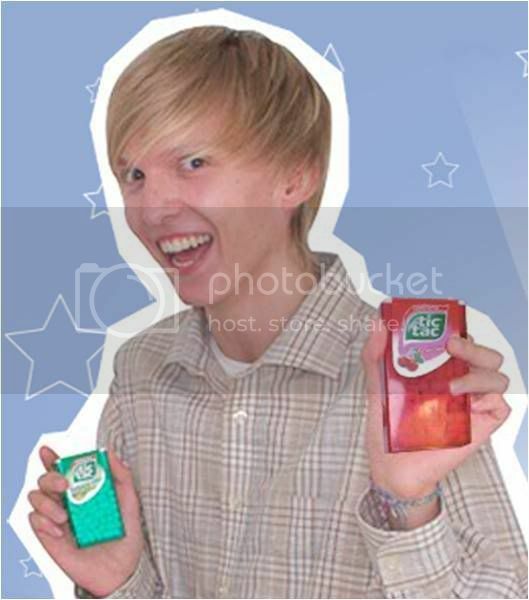 So I’m a little stumped by Micha – I see clearly at the bottom of his website that he’s proudly sponsored by Tic Tac but sort of wondering what came first, Micha or Tic Tac. Does it matter maybe is the right question as Micha’s world is cooky and goofy and seems spot on with the fun of little Tic Tacs. For me the campaign site and video works given its unique little story of making Tic Tac music in Uzbekistan and adding some personality to the often overlooked mint. I didn’t find Micha on Facebook but maybe he has a fan base somewhere else. And of course I’m a little disappointed that there isn’t a “show us your own tic tac beat” video competition – I’d totally enter and probably win (yes, I’m that good with the Tic Tac container and keeping rhythm). Maybe that will come along with a travelling tour of MIcha (almost like Dancing Matt) that would feature some surprise celeb music guests and other famous peeps – stirring up the fun and keeping people tuning in to see who and what comes next. Its definitely worth 90 seconds of your time to watch the video, you may just be inspired to tic tac to your own groove really soon.